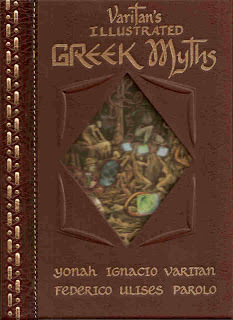 I just opened a box from Amazon and am thrilled to own the just published, Varitan's Illustrated Greek Myths. Being an active book junkie I spend as much time as possible learning about books, old, collectible and new. 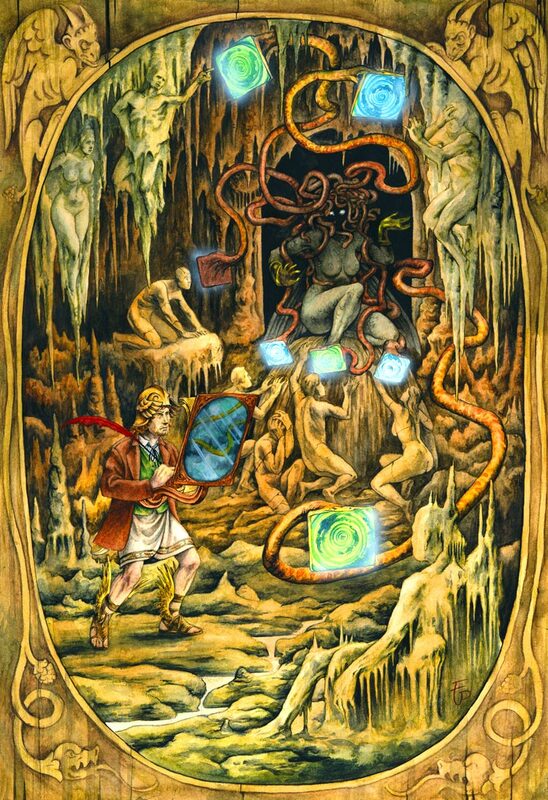 A few months ago I noticed the announcement, somewhere or other, of the forthcoming Varitan's Illustrated Greek Myths and apparently pre-ordered a copy via Amazon. I totally forgot about it until the box arrived today and I am certain I will enjoy reading this new version. I generally buy, new, what I am interested in reading but I do sometimes buy new books that I think, over time, will become collectible. Varitan's Illustrated Greek Myths is a book I predict will indeed become a collectible illustrated treasure. Custom Leather Cover. Diamond cut out with illustration. This is the first book released by Orphiflamme Press, Boulder, Colorado. Founded by Jorian Polis Schutz, Calligrapher, Editor and Publisher. If future publications are released with the beauty and style of the first, I'll be sure to order more new releases for my library. 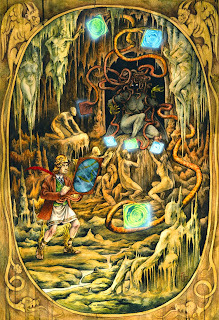 Varitan's Illustrated Greek Myths, by Yonah Ignacia Varitan, illustrated by Federico Ulises Parolo bound in a custom leather cover, includes a wonderful illustrated cover band with quotes from St. Basil of Caesarea, Pantanjali, and Henry David Thoreau on myth, is a modern re-telling of Greek Myths with stunning illustrations that will appeal to young and old. This is not a scholarly book but rather a book to enjoy and a reason to ponder the foundational mythology that still captivate. 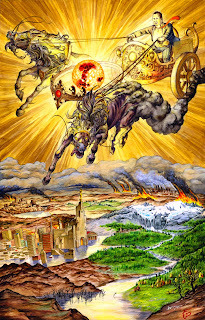 "It is my honor to introduce to you an exciting new version of some of our greatest originating myths. But in fact I’m not sure that "new version" quite describes what Varitan’s Illustrated Greek Myths does. This surprising and beautiful book gives voice to the gods and heroes in a way that makes them not only relevant but necessary for our times. Part science, part mysticism, and part social theory, it is a re-vision that we sorely need. These ancient spirits may yet cast forth wisdom into our midst." 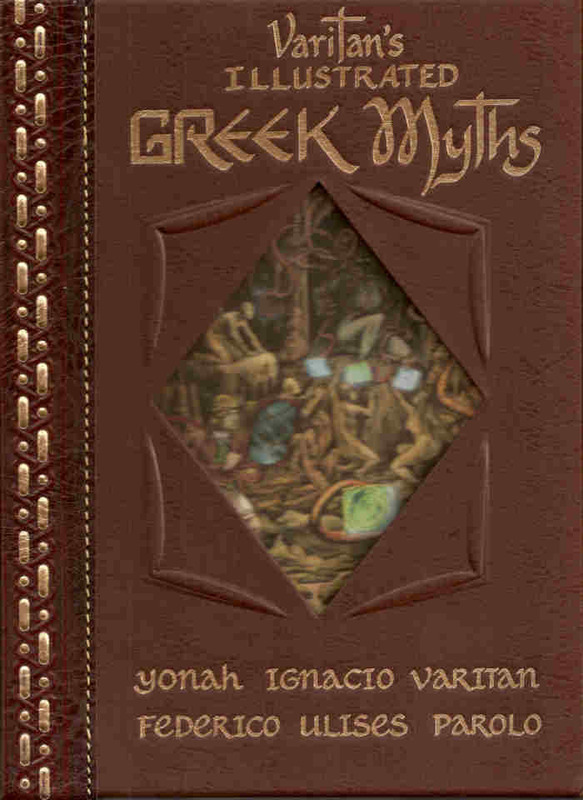 "Yonah Ignacio Varitan began to work on his Greek Myths in early 2007. Later that year he met Federico Ulises Parolo in Buenos Aires, and their collaboration continued for two years. Varitan died in a tragic accident in late 2009; I inherited the mostly completed project, edited the texts, and worked with Federico and others to design the book., for release in spring of 2011. I can only pray that this fruit of a beautiful human spirit has a chance to spread its seeds in the world. Please enjoy our offerings online and consider ordering a copy of the book for yourself, for your friend, or for your store." "And welcome to Orphiflamme Press." I certainly hope Orphiflamme finds success and continues to publish fine editions for years to come. 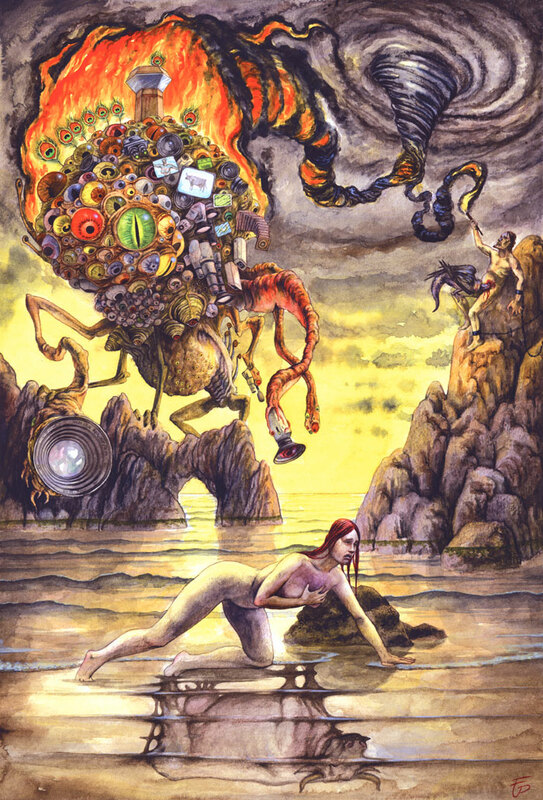 Varitan's Illustrated Greek Myths is a wonderful book, a first book from a new publisher, a first and only book by the author, Yonah Ignacio Varitan , and the first book illustrated by the talented Federico Ulises Parolo.